This is the look that I wore today. It's still cold, but when I wear this comfy fur coat from Essentiel I don't need to layer as much to keep myself warm. I also bought the coat 1 size to big for an extra comfy look. The berry colored trousers give a colorful touch to the whole outfit. The Zara shoes are actually very easy to walk in, I wear them a lot lately. 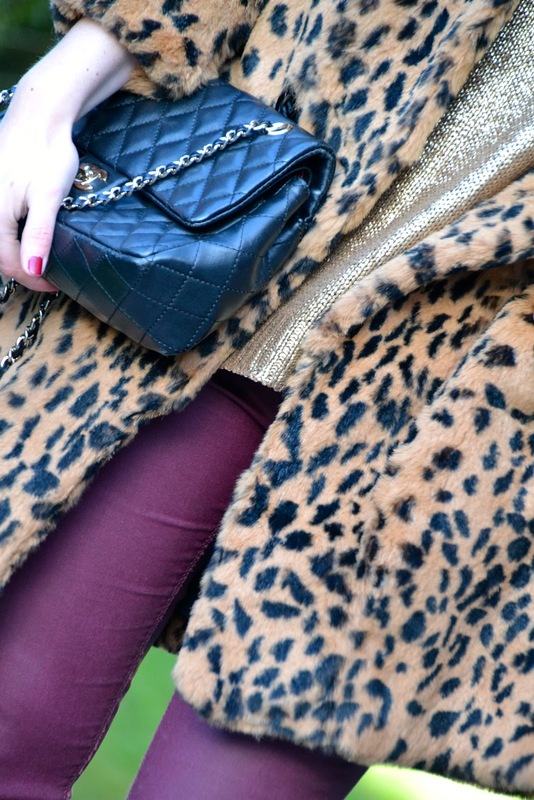 The gold details from the sweater, shoe tip and on the chanel bag, brings some sparkle to an otherwise very plain outfit. thanks girls @ Carla & Nathalie ! !